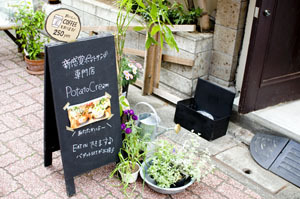 Mashed potatoes topped with pasta-style cream sauces - that's the rather unique offering at this tiny food stand. 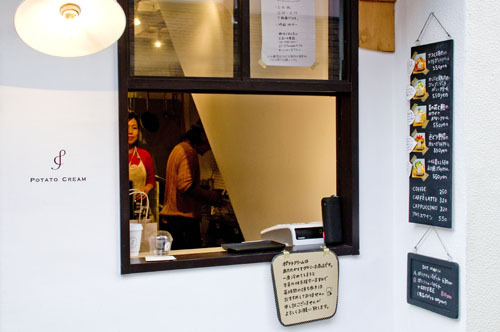 There are five choices of sauce, in variations like seasonal-vegetable curry and turnip-chicken-gorgonzola. Each order is Y550. Wine and soft drinks are also available, and you can order your mashed potatoes to go, although they suggest that you enjoy them while they're hot. Note that the shop may close early if they sell out.